Welcome to my website. I am the designer and creator of Valewood Bears, award winning bears created for the adult collector, made in the traditional way from mohair or alpaca fur. 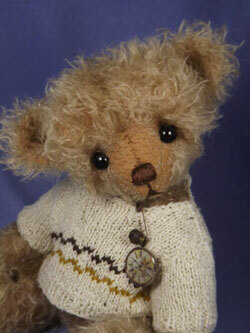 Please go to the Available Bears page where you will find the latest bears looking for a home. I also create beautiful knitted or crochet clothes for my bears and often have a surplus, which I will offer for sale on the website, you will see these on the Bear Clothes page. Hope you enjoy browsing my website and that you find a bear that tugs at your heart strings.